« After Autumn, then what? More Maine Foliage Around the Corner! Not too surprisingly, we have received quite a few calls asking how the foliage is progressing, and when to expect the peak in the Freeport area. It is always a bit of a guess, but the trees help us out, as they change at different rates, so a group of trees along Main Street (US-1 in Freeport) will be in full color, but just a bit further another group is just starting to turn, and yet another has not even begun. 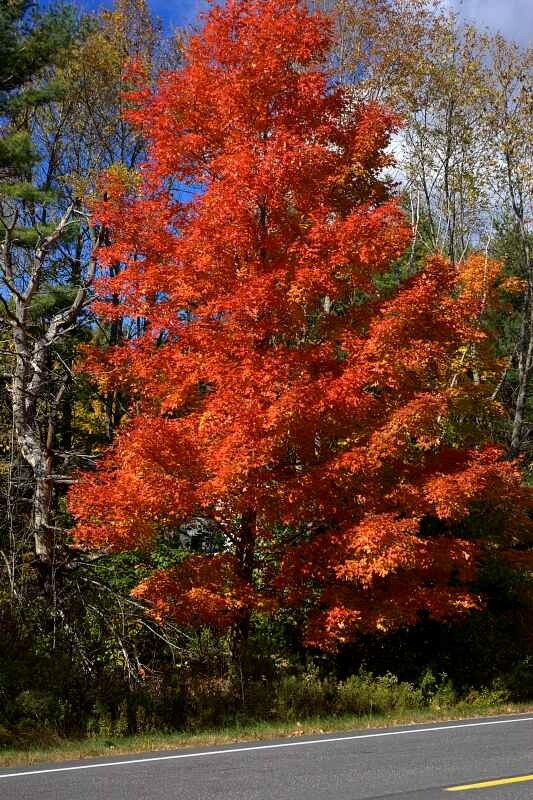 According to the Maine Foliage site, which had not yet been updated for this week at this writing, we’re just beginning to turn, but that report was posted last week (September 30). Even the Yankee Magazine foliage map, which updates more frequently, shows that peak for us is at least a week or more away. Not to be disagreeable, but what we’re seeing out the window and driving a few miles either way from Freeport doesn’t match up too well with these reports. We would say the foliage we’ve seen is in the 30-50% range in most places at this point. That still means the peak isn’t yet here, so there is a lot more color to come. The maps make it look like the Midcoast area (just north of Freeport) is not much farther along, but from what we’ve seen, and heard from others, it is farther along than the Freeport area. All that to say, that if you’re thinking about viewing the wonderful 2009 fall foliage, or even taking us up on one of our Fall Foliage packages, you still have time to make your plans, and get here before the end of the month, and you should still be able to see some wonderful fall colors! Our next two weekends are nearly booked up, but later in the month, and during the weekdays, we still have plenty of rooms available, including our first floor twin room, our queen rooms on the second floor, and our two 2-bedroom suites on the third floor. 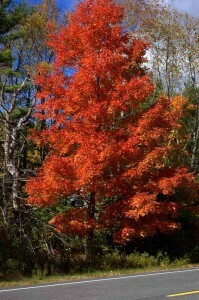 If this is the year you want to see Maine’s foliage, the time to make your plans is now!